The modem of Speedbox mini II LTE supports LTE 800, 850, 900, 1800, 2100 and 2600 megahertz, making it work not only in Germany but also worldwide in many LTE networks overseas. The maximum speed is 300 Mbit/s in the downlink, some conditions must be met and then it can thus achieve high speeds. 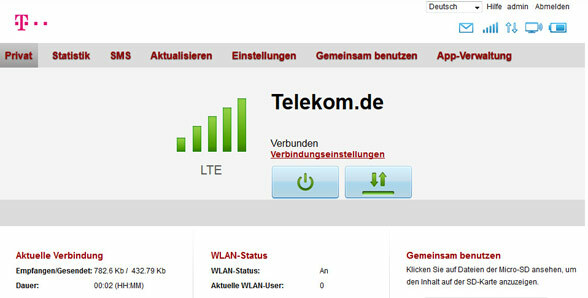 Of course, the Telekom Speedbox LTE support mini II supports not only LTE but also GSM and UMTS. It works on the frequency ranges of 850, 900, 1800, and 1900 MHz on GSM and the UMTS 850, 900, 1900 and 2100MHz. So the router could use in many UMTS networks in North America. The maximum speed in the UMTS Network could reach 42.2 Mbit/s in the downlink and 5.76 Mbit/s in the uplink, if the DC-HSPA+ technology is enabled on the network. 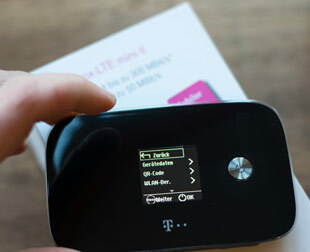 The reception quality of the Telekom Speedbox LTE mini II is very good both in the UMTS and the LTE network, often significantly better than that of many smartphones. Even in areas with poor reception can be surfed very quickly over LTE on the Internet. 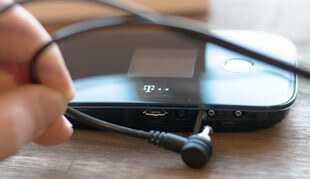 The connection to the terminal device is either via a USB port or just using wireless connection. 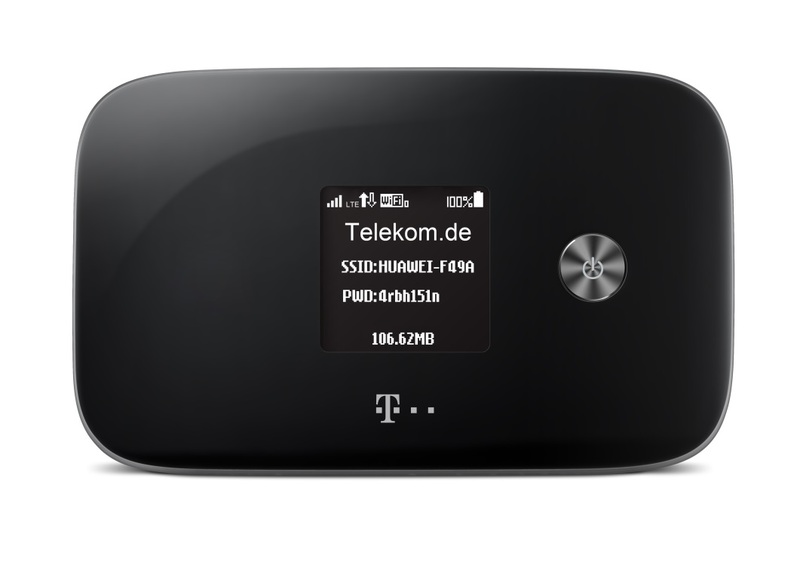 The Telekom Speedbox LTE mini II has a current wireless 802.11a/b/g/n /ac module installed, which is fast and optionally transmits on the 2.4 GHz or 5 GHz. Up to 10 devices can be connected via WiFi through Telekom Speedbox mini II LTE and the coverage of wireless network is about 10 to 15 meters. The operation of Telecom Speedbox LTE mini II is quite simple. After inserting the SIM card, the device must be switched on to be connected (by pressing the power button for 2-3 seconds) with a computer, tablet or smartphone via Wi-Fi. The corresponding WLAN password is displayed on the router, but can also be seen under the cover on the back. Of course, other settings such as the name and password of the wireless network can still be changed. These settings can be done directly in the browser via the web interface; alternatively there is also an app for your smartphone (Android and iOS operating system). Enter the address bar192.168.8.1 (the router’s IP) in the browser to enter the menu. The web interface is kept very simple and allows only the most important settings. More specific things such as setting the router to a particular frequency band or a detailed diagnostic function are unfortunately missing. Also information about key reception parameters, such as RSRQ or SINR is missing entirely. There is, however, a special tool, which we will continue to introduce more below. In the tab “Statistics” can be accessed information about data usage and time spent online. It is also possible to store a data plan, such as the volume values from your own mobile calling. Below you will find three selected sample screenshots of the user interface.